No one debates that data is valuable to make fact-based business decisions. The problem is that gaining insight from the data requires too much of the time from a busy salesperson or customer service agent, causing them to not take advantage of that data. When analyzing this dilemma, lets start with a simple question a salesperson may have about data. The salesperson may want to know, “What are my top accounts by annual revenue?” or “Rank my accounts decreasing by annual revenue and billing country.” The questions sound simple enough. The data has the information that is being sought with the questions, but the problem is that translating this simple “ask” to a database query that combines multiple statements and functions through mouse-clicks is not a simple task. So, the next step is that the salesperson goes to sales operations to get them to create a one-off report. This takes time, as sales operations is swamped with requests. Once sales operations gets the request and delivers the report, the salesperson then realizes they need another slice of the data, and they go back through the same time consuming cycle all over again. Analytics is all about asking questions that lead to actionable insights — using data to understand what’s happening in your business and determining where to refocus sales efforts, how to increase pipe, or how to better serve customers. A salesperson has questions about their business every day, and the answer to one question may lead to two more questions, and two more questions on top of those questions. Traditionally, the process of creating charts has taken an average of 12 clicks and required a deep understanding of chart building — how to create filters and what measures should go on each axis, to name two skills one must have. The answer to this problem is not to train our highly-valued sales people or service agents to be proficient data scientists, but rather to lower the technical bar to interact with analytical applications. What-if the sales person could just express what they actually want from the data and the system generates the result in real-time? It is much easier to just ask the sales analytics application, “Provide me with the top accounts by annual revenue.” There are no clicks needed to generate a compound query. All that is required is a simple question. The good news is that this idealized version of data utilization is now achievable. 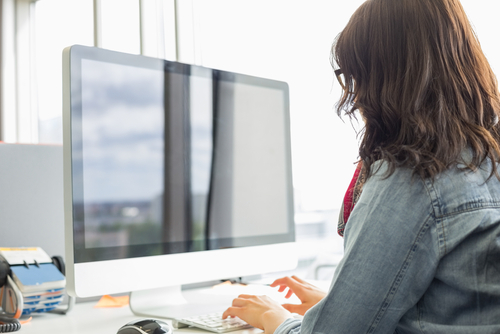 The Salesforce Einstein Analytics platform now offers a breakthrough approach to analytics called Conversational Queries. Unique to the analytics market, Conversational Queries offers a new way to explore data and get answers to questions faster, eliminating clicks and the training required to create and drill down into charts. This sounds great, but how do Conversational Queries actually work? Start with a common word or two, and Einstein Analytics (Figure 1) provides relevant suggestions that you can accept or edit as you type in the question. 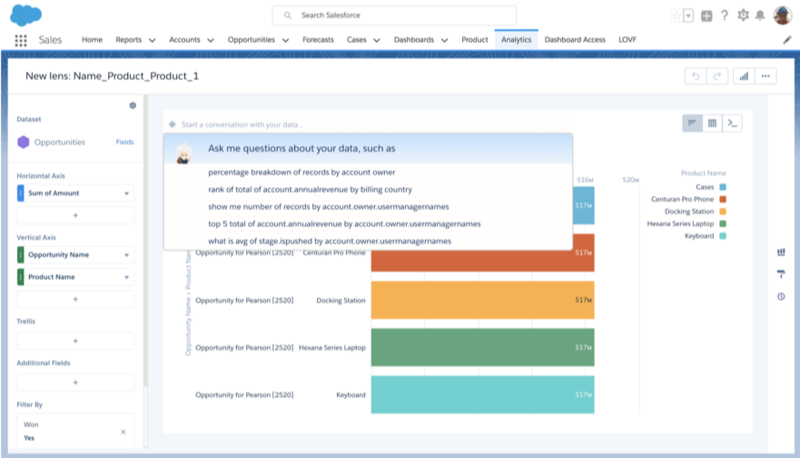 Once you ask a question, Einstein Analytics understands what you’re asking in relation to the data you have, and suggests the best way to visualize the answer. For example, if you want to see your top ten deals by region, Einstein Analytics will dynamically display your data in a bar chart to easily show “ranking.” Then, you can scroll through other design options in the Suggested Charts panel to instantly change the visualization based on your needs. You may decide to present this query in a map format, since it is looking at deals by location. A visual history of all the questions you asked during your exploration session make it easy to rewind and find the question or chart that was most helpful. Long gone are the days of tinkering with data, only to forget the exact query that you wanted to focus on. After a series of questions, you may remember your second question was the one you wanted to share with the team — and you can now easily go back through your conversation with your data to find it. 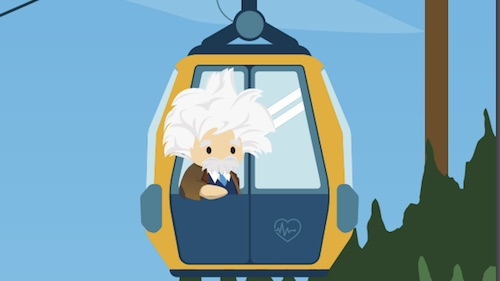 Because Einstein Analytics is native on the Salesforce platform, all of these capabilities are easily actionable and shareable. Conversational Queries will finally deliver on the promise of helping business users make informed business decisions based on actionable insight. A non-technical, conversational language allows anyone to ask a series of follow-up questions around their data, without waiting in the queue for a data scientist. By making the analytics experience faster and more natural, Conversational Queries takes one more step in the direction of true self-service data exploration. Conversational Queries will inspire greater interaction with data, which will translate to smarter decisions for every user.